This country Farmhouse draws life from history. The welcoming covered porch leads into the kitchen and dining rooms which are always the focus of activity. A large formal living room offers a quiet retreat and the master bedroom suite with a full bath, walk-in closet and laundry completes this single floor living concept. The open stairs lead down to the basement and up to a great room overlook and to two large bedrooms that share a full bath. 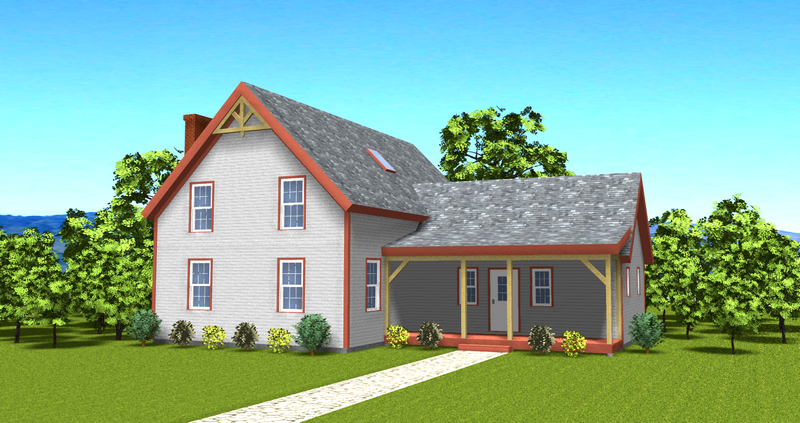 This historic farmhouse design is made even better and stronger as a timber frame structure.